There is a rare clarity of vision in the photography of Horace Warner that brings us startlingly close to the Londoners of the turn of the nineteenth century and permits us to look them in the eye, as if for the very first time. Geographically, his Nippers were creatures of the byways, alleys and yards that laced Spitalfields. Imaginatively, theirs was a discrete society independent of adults in which they were resourceful and sufficient, doing washing, chopping wood, nursing babies and making money by selling news- papers and hawking flowers, or bunching parsley for market. A few swaggered for the camera, but most were preoccupied in their own all- consuming world, and look askance at us without assuming the playful, clownish faces that adults expect of children today. These Nippers were not trained to fawn by innumerable snaps, and consequently many have a presence and authority beyond our expectation of their years. Horace came to Spitalfields at the end of the nineteenth century as superintendent of the Sunday School at the Bedford Institute, one of nine Quaker Missions that operated in the East End of London. Years later, in 1913, the Institute paid two pounds, fifteen shillings and sixpence for around twenty photographs he had taken of the children, for use in their fund-raising activities, reproducing them in handbills and upon collecting boxes. These pictures were selected from a significantly larger body of photography that Horace created at that time and gathered into two albums, which passed from the hands of his wife Florence into the possession of his elder daughter Gwen after his death and, subsequently, to his grandson Ian Warner McGilvray. For more than a century, this collection of images was hardly been seen by anyone outside his family until the current publication, in which they are reunited with those pictures purchased by the Bedford Institute – permitting a full assessment of Horace’s photographic achievement. Although his subjects were some of the poorest people in London, Horace’s compassionate portraits exist in sharp contrast to the familiar stereotypical images created by some social campaigners of his era, who commonly portrayed children solely as victims of their economic circumstance and sometimes degraded them further by the act of photography itself. Characteristically, Horace granted his subjects the dignity of self-possession and, as a consequence, they present themselves to his lens on their own terms, whether overtly playing to the camera or retaining a composed equanimity. Born into a family of Quakers – members of the Religious Society of Friends, almost since the inception of the movement – Horace and his brother Marcus worked in the family business of Jeffrey & Co run by their father Metford Warner (1843–1930), which operated from a factory in the Essex Rd just a short walk from the family home at Aberdeen Park in Highbury. Horace’s father invented a means to print wallpaper without the use of arsenic and was committed to representing artists’ designs more accurately than had been done before. 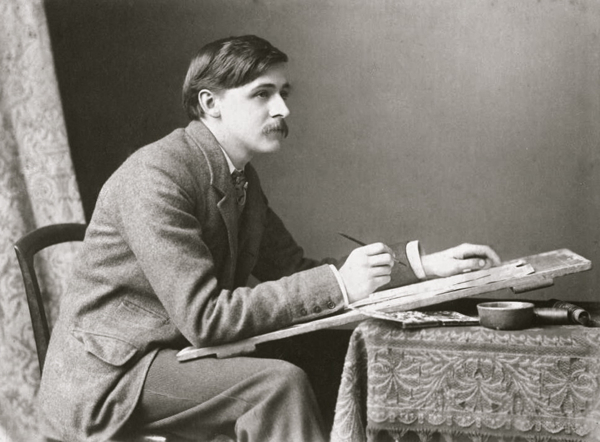 He was an idealist and his collaborations with William Morris, William Burges and Walter Crane, and other leading designers, made Jeffrey & Co one of the top manufacturers in Britain, winning national and international awards. Most famously, William Morris’ wallpaper designs were printed at the factory in Islington from 1864 until 1940, and Metford continued to direct the company with Horace and Marcus until 1930, when Jeffery & Co was taken over by Arthur Sanderson. A few miles down the road in Spitalfields, the Bedford Institute owed its origin to a revival of Quakerism encouraged by Peter Bedford (1780–1864), a philanthropist silk merchant who devoted himself to alleviating poor social conditions. Rebuilt in 1893, the handsome red brick Bedford House that stands today upon the corner of Quaker St would have been familiar to Horace and the urban landscape he knew is still recognisable, even if the dwellings of the courtyards and narrow streets where he took his photographs are long gone. When the Eastern Counties Railway came through in the eighteen-thirties, hundreds of families were pushed from their homes, filling the surrounding streets. 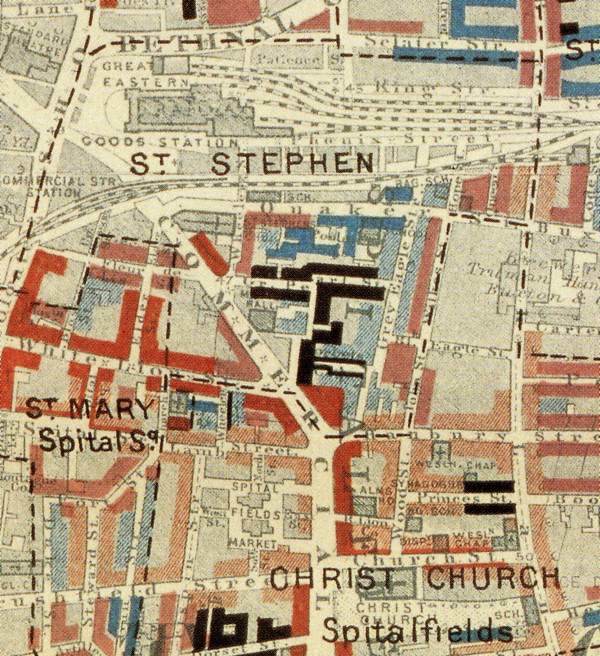 The overcrowded area to the north became known as the Nichol, notorious for criminality, while the tragedy of a soldier’s widow living in one room with her nine children in Poole’s Place, south of Quaker St, was selected in 1844 by Frederick Engels in ‘The Condition of The Working Class in England’ as indicative of the suffering in London. This area to the south of the Bishopsgate Goodsyard had been built up in the eighteenth century when the silk industry thrived in Spitalfields and before the decline of the native trade, through competition from imported goods, that led to the neglect of these buildings which were subdivided and rented out at one family per room. It was these people, living in the shadow of the Bishopsgate Goodsyard and almost upon the doorstep of the Bedford Institute, that Horace befriended and photographed. At the core of this district was a narrow triangle of shabby dwellings circumscribed by roads and huge buildings upon three sides, but no more than five hundred yards across. It was bordered to the east by Truman’s Brewery and to the west by Commercial St, cut through in the eighteen-fifties to carry traffic from the London Docks to the Eastern Counties Railway Terminus in Bishopsgate. To the south lay the Spitalfields Fruit and Vegetable Market and, in between, the Royal Cambridge Theatre of Varieties, with a capacity of two thousand, where Charlie Chaplin performed at ten years old as one of the Eight Lancashire Lads in 1899 and,also at ten years old, Bud Flanagan became a call boy in 1906, delivering fish and chips to the performers from his father’s shop in Hanbury St. 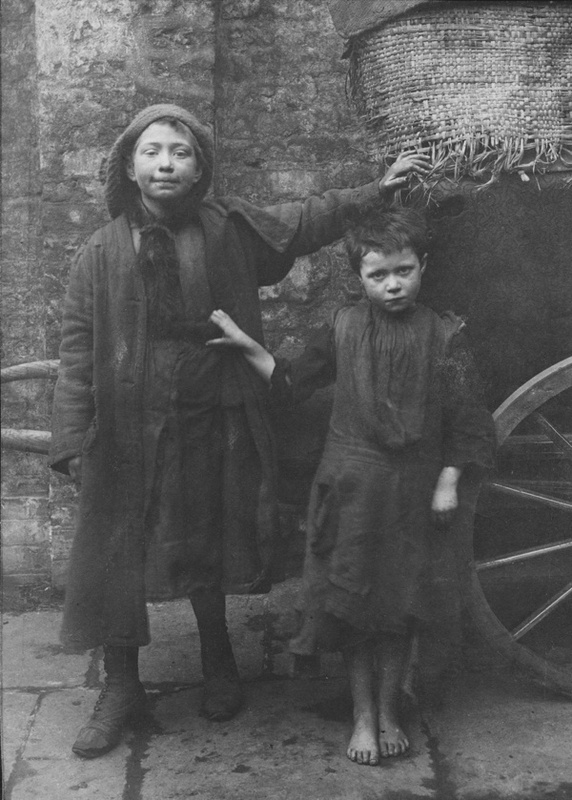 The dramatic tension in many of the photographs in the Spitalfields albums stems from the clear-eyed tenderness with which Horace portrayed the children, combined with an equally unflinching record of their poor living conditions. There is sometimes a disquieting irony in these gleefully unselfconscious images of children in rags with skinny limbs and dirty feet and hands, when they appear unaware of their own poverty and inhabit their existence as the only life they know. In this way, the open demonstrations of joy and pride in these photographs subvert the common historical assumption that residents of the East End in the nineteenth century led lives of unqualified degradation. Yet Horace’s daughter Gwen testified that it was his dismay at the squalor in the East End which prompted him to take pictures witnessing the lives of people there and, although Horace was foremost a portraitist, the detail of his photography reveals plenty about the precise nature of the culture and society his subjects inhabited. The variety and individuality of clothing and textiles in these photographs belong to an age before the industrialised mass- production of clothes we know today. These garments went through many owners, handed down through the family, altered, patched and refashioned until they fell apart. For centuries, Spitalfields had been the centre of London’s textile industry and occasionally, such as in the three fine matching dresses worn by the Ellis sisters, children may have clothes that were designed and made by their mothers who were skilled workers in the garment trade. The ancient Houndsditch Rag Fair existed just a mile to the south, until it was closed permanently to prevent the spread of smallpox, and this may explain the presence of so many elaborately- detailed dresses in antique designs of the earlier nineteenth century, which could have been acquired cheaply in the market and cut down to size. Although children commonly played outdoors in summer in bare feet, many of the Nippers lack footwear of any kind or have only worn-out boots with holes. The Bedford Institute collected old boots to distribute to the children and some of these pictures may record the arrival of these cherished acquisitions. Horace’s younger daughter, Ruth, recalled her father’s picture captioned “Little Adelaide’s Only Boots” upon the living room wall in her childhood alongside portraits of the Nippers, as a reminder of those less fortunate than she and her sister Gwen. Ruth accompanied Horace on trips to deliver Christmas presents to children in Quaker St in the nineteen twenties, and her memories of the time Horace spent arranging she and her sister in family photographs may reveal a hint of his photographic method. In the background of several photos, costermongers’ barrows with elaborate carved lettering, indicating the makers who leased them, speak of the proximity of the Spitalfields Market, and the culture of hawking and street trading in the East End. In early summer, parsley season offered piecework – as illustrated in a sequence of pictures featuring the large baskets in which loose parsley arrived and children gathering round to bunch it up for sale. James McBarron who grew up in Hoxton in the thirties explained to me the practice of wood-chopping for pennies illustrated in Spitalfields Nippers. “We kids chopped firewood to make money. The boys and girls used to go around collecting tea-chests and packing-boxes from the back of furniture factories, and say ‘Can we take it away, Mister?’ We chopped it up into sticks and made bundles, and we’d sell them for a penny or a ha-penny. We used to go to Spitalfields Market too and ask for ‘Any spunks?’ or ‘Spunky oranges and apples?’ and they’d chuck the fruit that was going bad to us.” This culture of foraging among the left-overs and spoilt produce in Spitalfields persisted until the wholesale fruit and vegetable market moved out in 1991 and it may explain the origin of the trophy cabbage that a boy clutches so proudly in one portrait photograph. Children swarm in the streets in these pictures and in such large families, with both parents working long hours, it fell upon older children to take care of younger siblings and undertake household chores, as shown in the images of baby-minding, sweeping, window-cleaning and boiling-up laundry over fires in yards. 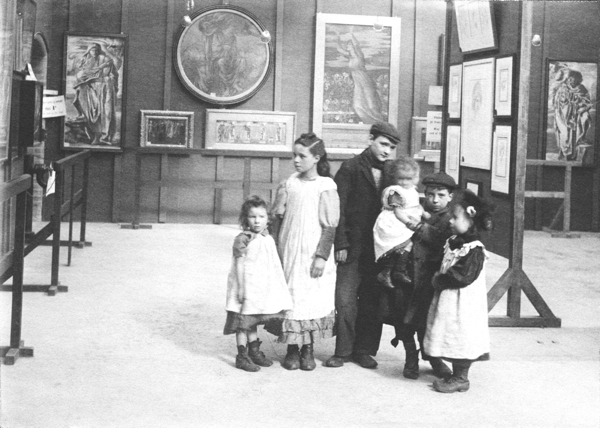 Similarly, children were left to devise their own entertainment, inventing games and pastimes by contriving swings and make- shift carts, drawing on walls and flagstones, playing dice and holding imaginary tea parties upon the pavement, and filling the yards with singing games such as ‘Sally Go Round the Moon,’ photographed by Horace and – according to Dan Jones the rhyme collector – still played in East End playgrounds today. Pets figure in these photographs too, cats, kittens, dogs and rabbits, and there is an un expected image of a boy tending his garden. This modest vernacular East End tradition of horticulture is commonly ascribed to the Huguenots, introducing flower-fancying and pigeon-fancying to Spitalfields in the seventeenth century. In Horace’s compelling portrait of the girl with a bird on her head, the pigeon is a fancy variety. These creatures were bred and housed in sheds in backyards and brought out each summer for racing and competitions, as they are still in some locations in Bethnal Green. It is the photographs of the newspaper seller and the boys holding up news placards from June 1902, announcing the end of the Second Boer War, that give us the only precise date we have for any of these pictures. Elsewhere, there are round tin badges worn by a couple of children, with photographs of King Edward and Queen Alexandra at the centre, celebrating their Coronation in August 1902. Horace’s daughter Gwen believed that some of his Spitalfields pictures were taken in the eighteen-nineties and a note in the front of of his albums suggests they were complete by 1905. Later, Horace wrote accompanying texts for a couple of his photographs, when they were published by the Bedford Institute in fund-raising leaflets in 1912, but the time lapse suggests this was their adopted use rather than his first intent in taking the pictures.Assuming the fictional alter-ego of the fairy ‘Silverwing’ as a whimsical device to engage his young middle-class readers, nevertheless he was insistent to assure them of the veracity of his personal observation. “The incidents here recounted are actual facts from the lives of some of the children living around the Bedford Institute, Quaker St, Spitalfields,” he wrote. “The night was getting late and Silverwing must be back before dawn, but he flew along the road and alighted at the Spitalfields Market. All was still within, but outside in the gutter were a few cases of rotten oranges, and around those were gathered several children with their arms plunged elbow deep in the rotting fruit, feeling for an orange here and there that might be less rotten than the bulk within those cases. Other children were hunting amidst the market garbage for anything that might be of use at home. Nigh by, another squalid street was guarded top and bottom by the public houses, and a passage way leading into it was likewise guarded by another, so that no-one could enter into the street without passing one, and halfway down the same stood another, with its temptation of warmth and light. A little court entrance, bearing no name over it, tempted Silverwing to go still further, so up the alley-way he went. This too, had its one gas lamp, beneath which a number of big boys were gambling round an inverted barrel, losing and gaining their hard-earned pence. In 1975, the photographs acquired the title ‘Spitalfields Nippers’ when the Bedford Institute published the pictures they bought in 1913 in a pamphlet to accompany a small exhibition that was subsequently displayed in the entrance to the Whitechapel Gallery. This was when Horace’s pictures were first seen by a wider audience that appreciated them for their photographic quality as well as for their social reportage. Yet, as early as 1905, there had been an occasion when the pictures were shown to an influential group of people who recognised the power of Horace’s photography. Attached inside the cover of Horace’s first Spitalfields album is a piece of notepaper from the Warden’s Lodge at Toynbee Hall, dated June 21st 1905. The Hall had been established in 1884 by Samuel and Henrietta Barnett, as the first university settlement in the East End, in the hope that educational and social projects undertaken by students from Oxford and Cambridge encouraged a social conscience among future generations of political leaders. “These photographs were taken by an Associate of Toynbee Hall who has lent them to Mrs Barnett for the use of Lord Crewe,” reads the text of the letter inscribed in a careful italic hand with an annotation at the top in red ink, “Returned with thanks, Crewe, 27th July.”Henrietta Barnett was committed to reforming the brutal regimes of Poor Law Schools and in 1896 she established the State Children’s Association “to obtain individual treatment for children under the Guardianship of the State.” Lord Crewe was one of several powerful aristocrats who chaired the SCA and it appears Horace’s Spitalfields albums were used as evidential material in their political campaign to secure social reforms for vulnerable children. 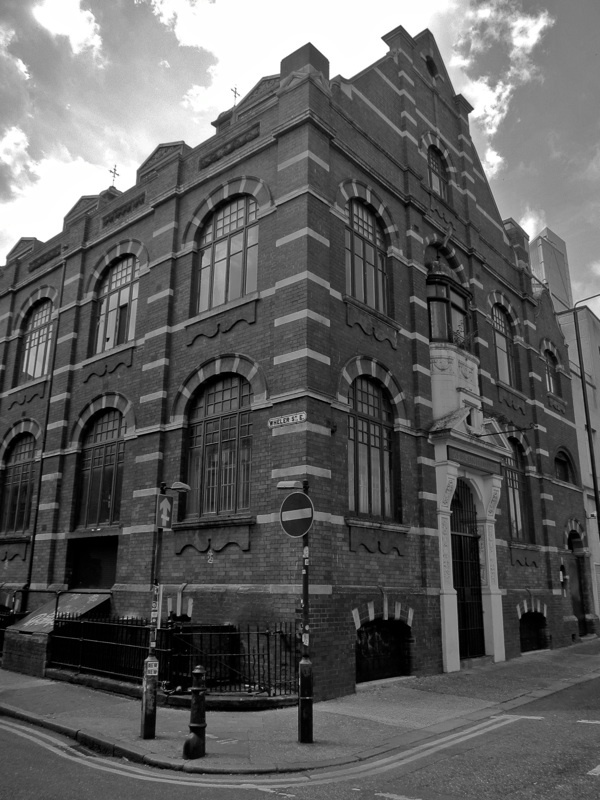 True to his belief in the social value of culture, Samuel Barnett also founded the Whitechapel Gallery round the corner from Toynbee Hall, that opened its doors in 1901, with a mixed show of contemporary work including a selection of pictures by Sir Edward Burne-Jones which Horace took the Nippers to see, leading them on an excursion beyond their familiar territory and photographing their first encounters with fine art. Working in the family wallpaper business, Horace had the income and aesthetic training to explore photography in his spare time and produce images of the highest quality. As superintendent and trustee of the charitable Bedford Institute, he was brought into close contact over many years with the families who lived nearby in the yards and courts south of Quaker St, winning their trust and affection. As a Quaker, he believed in social equality and that the divine was in everyone, and he was disturbed by the suffering he encountered in the East End. 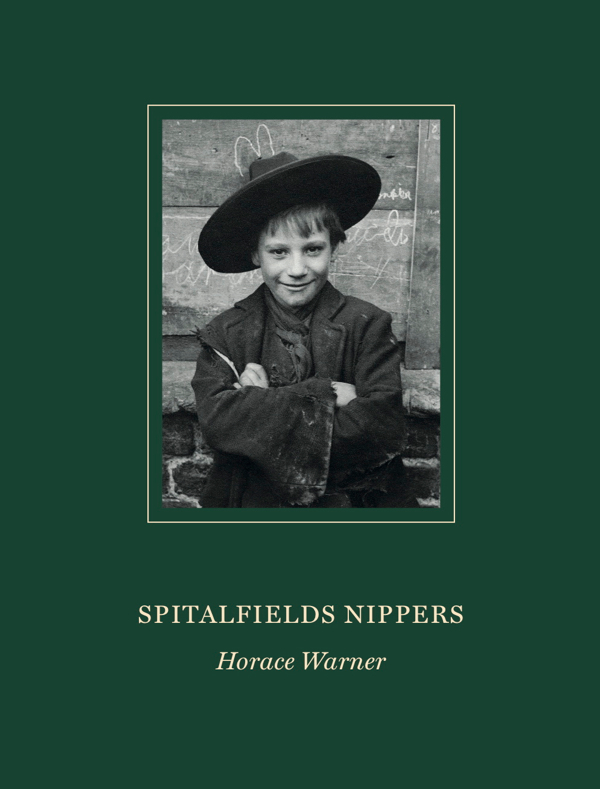 In the Spitalfields Nippers, all these things came together for Horace as the result of a unique set of circumstances, allowing him the opportunity to create exceptional, humane images which gave dignity to his subjects and producing great photography that is without parallel in his era. We know Horace through his photography, the record of his response to the Nippers and their response to him – permitting us to see them through his eyes. 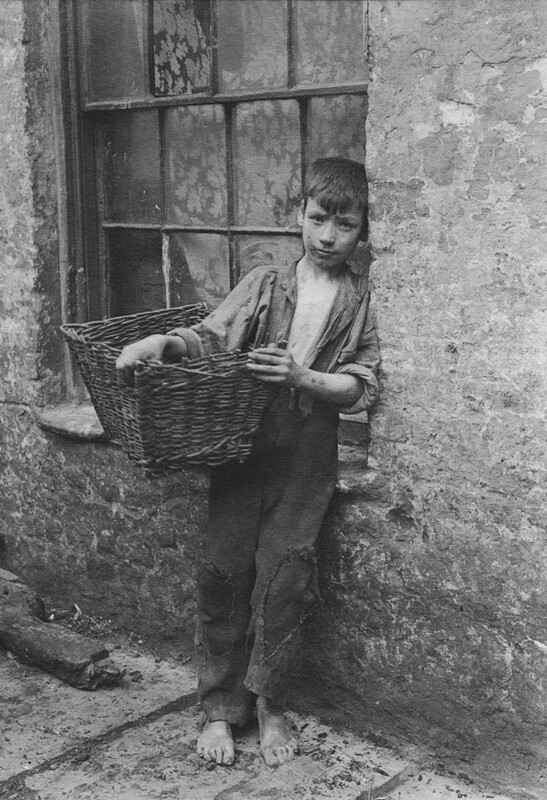 His Spitalfields Nippers are a unique set of photographs, that witness a particular time, a precise location, a specific society, and an entire lost world. Today there is nothing left of it but Horace’s photographs, yet – since he annotated many of them with the names of his subjects – we have been able to discover more about the lives of the Nippers in public records and publish the biographies that we have collated in the book.In Spitalfields at this time, one in five children did not survive until adulthood but our researches reveal that among the poorest families which Horace photographed, the mortality rate was closer to a third. 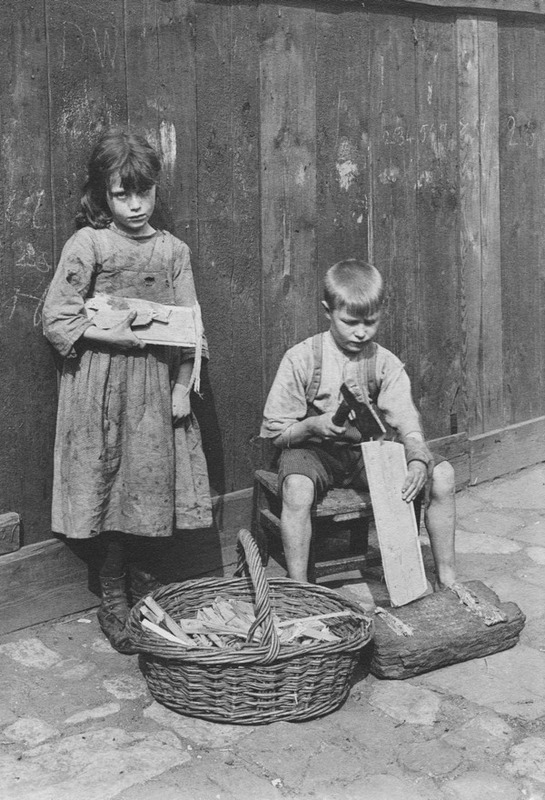 Shamefully, more than a century later, the London Borough of Tower Hamlets that contains the locations of the Spitalfields Nippers, has the highest rate of child poverty in Britain. Thus Horace Warner’s photographs confront us with the nature of social progress, reminding us of the human value of the reforms enacted in the twentieth century that lifted up the lives of all in this country and emphasising the necessity of the struggle for a modern compassionate society which can protect its most vulnerable members. I love the Nippers Book so much — a perfect Christmas gift from me for myself! Thanks for publishing the talk. I attended last month and was moved to tears. 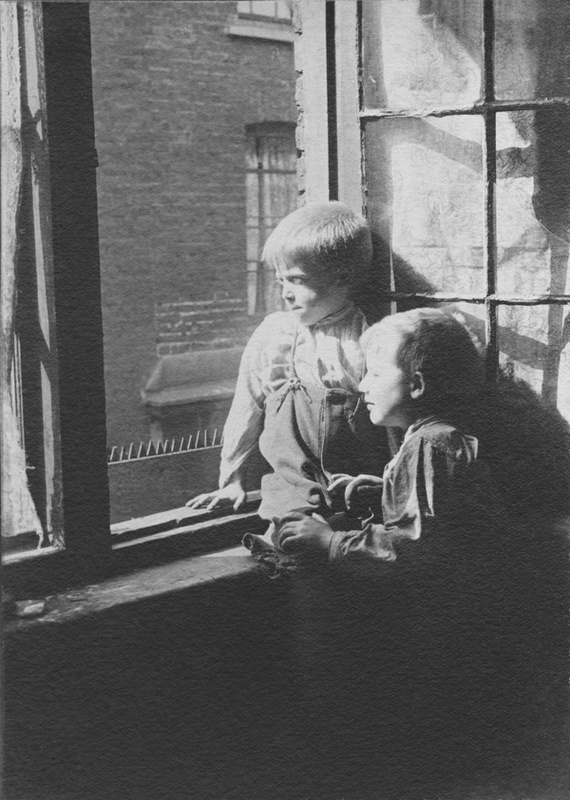 A Quaker from the States, who is researching the life of artist/activist Ellen Gates Starr (1859-1940), co-founder in Chicago of Hull House, and friend of the Barnetts and Ashbee, I found my way to this blog via the image of the children in the Whitechapel Gallery. I would love to be in touch with you, should you be interested. I look at these pictures and wonder if these children are related to my mother’s family. Her family came from Bethnal Green – White Chapel area.